If you were an 80's kid as I was one thing ruled your life, Nintendo! At the time there just wasn't anything else like it. It wasn't until I discovered the greatness of the Arcade that I even knew there was anything in the world that existed that was better than Nintendo. My favorite game on Nintendo was Teenage Mutant Ninja Turtles and when I laid eyes on the Arcade version I thought I had died and gone to heaven. After that amazing experience, I thought to myself, why can't I have this video game greatness at home? Of course, at the time, that was not a possibility for any kid, unless your parents were super rich that is. Well, now years later as an adult I still craved to have the Arcade experience at home. I began researching to find out how I could make this a reality and I stumbled upon the concept of Superguns. I decided to build my Supergun into my favorite console system of all time. 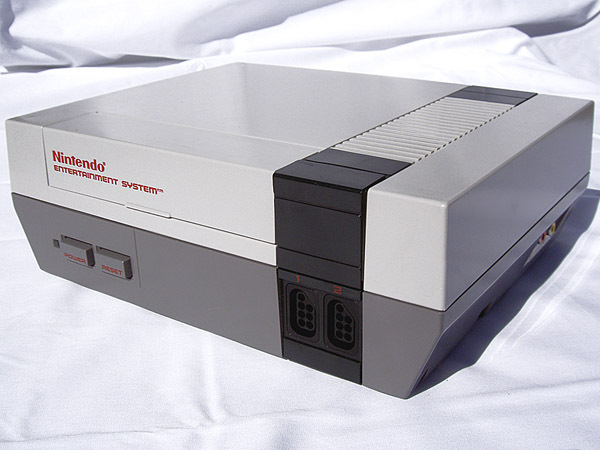 For me, this is the ultimate dream gaming console, so I decided to call this project "Ultimate NES (UNES)". My goal for this project was to have a system that could play games from my favorite console of all time, NES, as well as JAMMA Arcade games and Neo-Geo MVS games. For me, just having a console system that can play the NES and Arcade versions of TMNT, Batman, Double Dragon, and BattleToads is a dream come true. I now have made my dream come true. Looking at this unit from the front you would think it is just your average old NES and that is one thing that I wanted to maintain. The Neo-Geo controllers can be plugged into the front of the console just like the NES controllers and the front flap covers the ports when not used to maintain the original NES look. 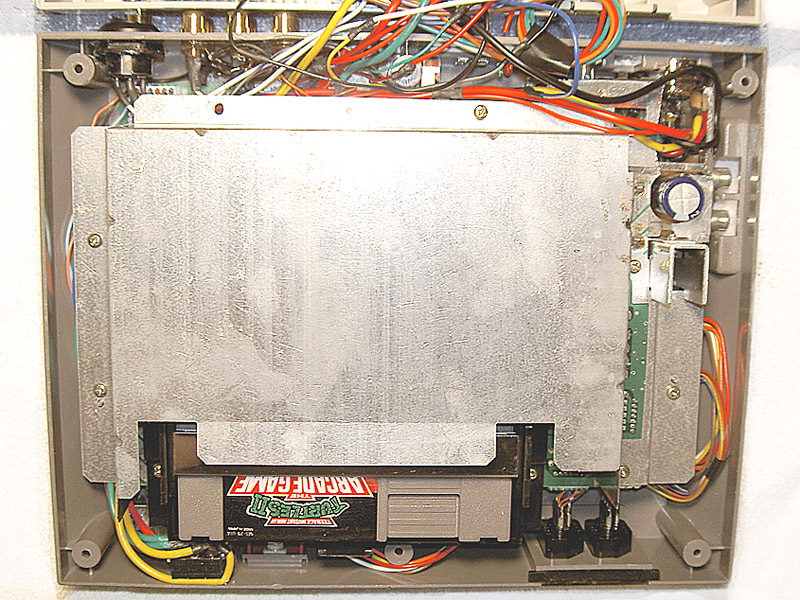 The NES motherboard has not been modified and functions as original. 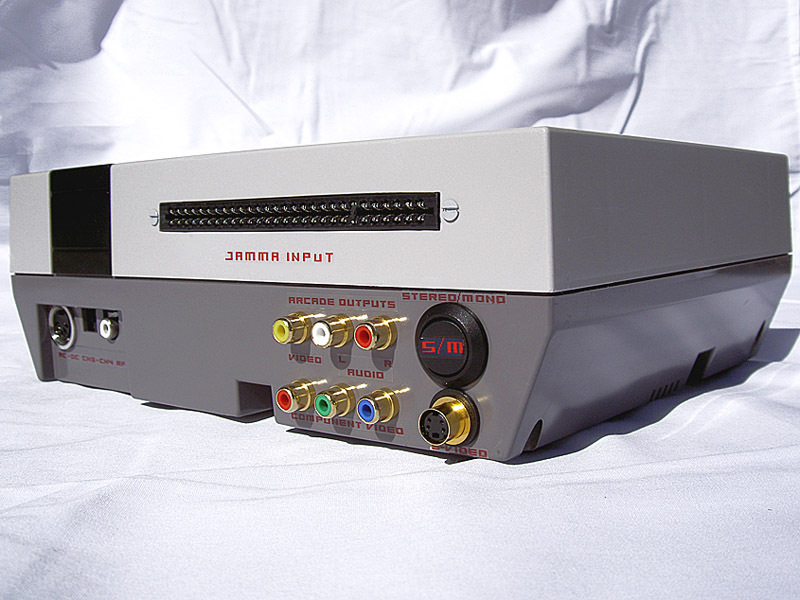 The NES system and the Arcade circuits are powered on by the push of the NES power button, which engages the 3 Arcade momentary switches and the NES power. NES and Arcade games can be played at the same time either on two different TVs or you can hook it up on different inputs on a VCR and switch between NES and Arcade by remote. I love being able to switch between the NES TMNT Arcade game and the actual TMNT Arcade game. Yes, I am a major TMNT nut! 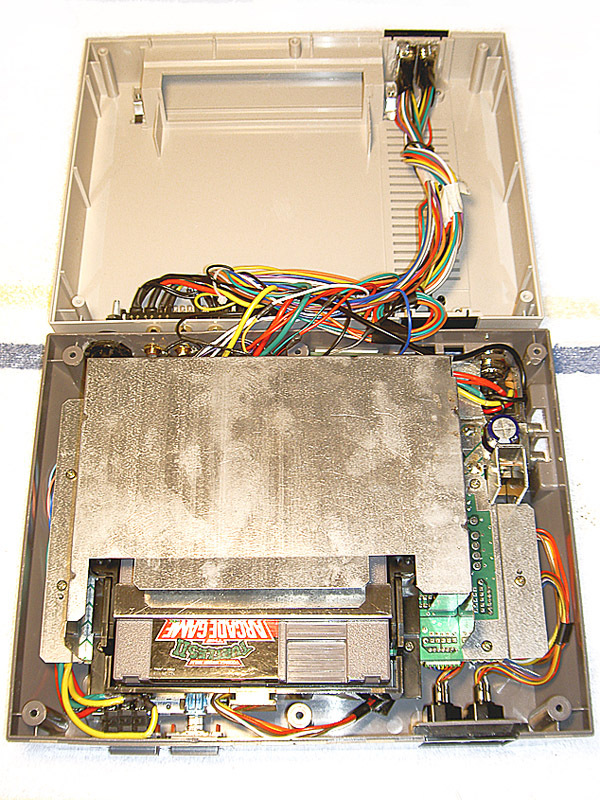 It was a tight fit, but I am really glad I was able to fit all of the Arcade components in with the NES motherboard. I have thoroughly enjoyed putting this project together and I really enjoy being able to play all my favorite games from my childhood on one console. 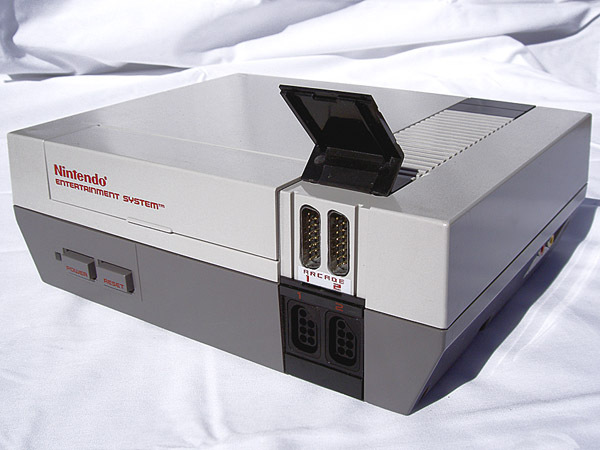 The Ultimate NES - Now you're REALLY Playing with Power!